Colva-based activist Judith Almeida, who is known in the civil society circles as the ‘iron lady’, has welcomed the National Green Tribunal’s order which dealt a severe blow to regularisation of even those structures in existence prior to 1991. Almeida, who has been fighting relentlessly against rampant CRZ violations along Salcete coast, heaved a sigh of relief and said she stands vindicated. Judith had been doing the rounds of the NGT shuttling between Goa and Pune over the last few years pursing her battle against CRZ violations. 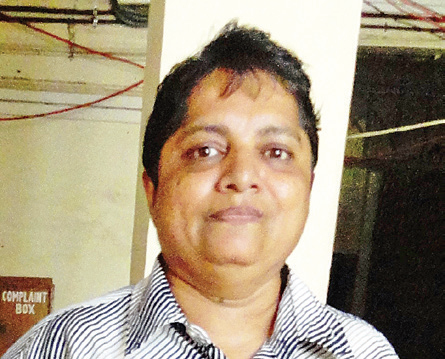 She had filed several petitions before the High Court and the Goa Coastal Zone Management Authority (GCZMA). She has filed around 27 cases pertaining to CRZ violations in different forums, including the NGT, High Court, GCZMA and the revenue officials. “Now, I only hope that the GCZMA and other authorities, including the District Collector, South, take cue of the NGT order and raze the illegal structures,” Judith told The Goan on Wednesday as she welcomed the NGT order. She, however, pointed out that the 27 cases which she has been waging a battle against are just a tip of the iceberg, warning that there could be hundreds of similar violations all across the coastal belt. The 27 CRZ violations which have been pointed out by the activist only pertain to the Colva-Sernabatim belt,a stretch of around five kilometers. With the NGT order coming clear on the CRZ violations pertaining to business establishments, Almeida has now made a strong case for the mapping of the coastal belt to identify the CRZ violations. “There was a direction issued to the GCZMA in 2015, but the authorities have been found wanting in implementing the same. Time has now come for authorities to set in motion the process to carry out the mapping of the coastal belt and identify the illegal structures pertaining to business establishments as per the NGT order,” Almeida demanded.